More than 14 years have passed since 21 year-old Matthew Shepard of Wyoming was beaten and murdered in one of the most notorious anti-gay hate crimes in U.S. history. But his legacy lives on, as the Foundation created in his honor educates people all across the country to fulfill Mathew’s dream: to replace hate with understanding, compassion, and acceptance. 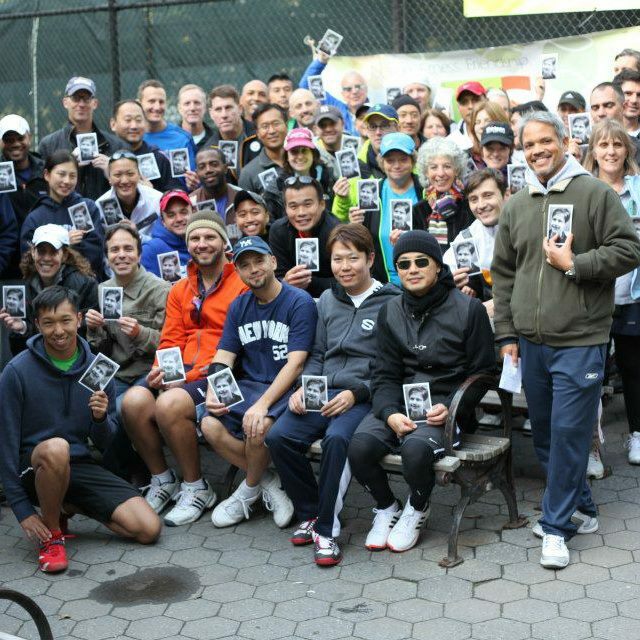 On Saturday, October 13, 2012, Metropolitan Tennis Group (MTG) helped support this important cause at its annual Matthew Shepard Tennis Jam Fundraiser at the 119th Street courts in Manhattan’s Riverside Park. More than 60 people attended the event, which included doubles play among players of all abilities, a moment of reflection, and an auction that helped raise more than $8,000 for the Matthew Shepard Foundation. "The story of Matthew Shepard showed that ignorance, lack of exposure, and lack of understanding of those that are "different" can lead to dire consequences if not addressed early on," said Daniel Arzuaga, Commissioner of MTG. "The event was a great way for players of all different abilities and backgrounds to celebrate their differences and support an important cause, while playing a sport that we all love." All participants in the event were assigned a number and played on courts assigned to that number, regardless of their playing levels. During breaks, the players socialized and enjoyed catered sandwiches and homemade cookies. "There were 4.5 and 2.5 players hitting together on the same courts, and people from all over the city making new friends and enjoying the day," said Arzuaga. The event culminated with a moment of reflection led by Arzuaga and ended with a raffle for exciting items, from restaurant certificates and free pilates sessions to gift baskets and USTA sweatshirts and tumblers. Metropolitan Tennis Group (MTG) was formed to provide its membership with expanded opportunities to play recreational and competitive tennis. The organization also serves as an alternative social forum for all members of the LGBT community. The group holds monthly singles and doubles parties, has a winter doubles league and a singles ladder during the summer. For more information about MTG, visit www.metrotennisgroup.com.